There's still time to enter my giveaway of this Gooseberry Patch cookbook. Thanks to the Real Farmwives of America and Gooseberry Patch for coordinating this fun project. Go to this post to enter! You have until 9 p.m. EST TONIGHT! 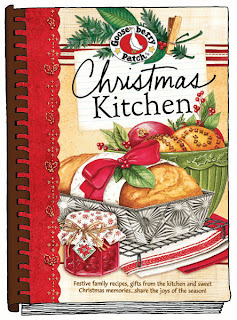 Special thanks to Gooseberry Patch for providing me with this great cookbook to try and share with you. If you would like to purchase this or other cookbooks, please visit their store. If you would like to see other great recipes, check out www.realfarmwivesofamerica.com.